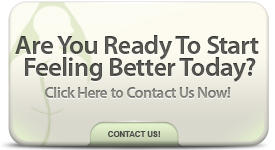 Why we offer an Orlando foot detox service? Everyday your body is under constant assault from an endless array of toxic encounters. In the air you breathe, the water you drink, even the food you eat are a few examples where one may come face to face with a variety of these toxins. The ionic foot spa works to dramatically remove toxins from your body through your feet. People have shown considerable symptomatic relief from joint pain, chronic pain, edema (fluid retention), gout and swollen joints, heavy metals, allergies, arthritis, migraines and fatigue.